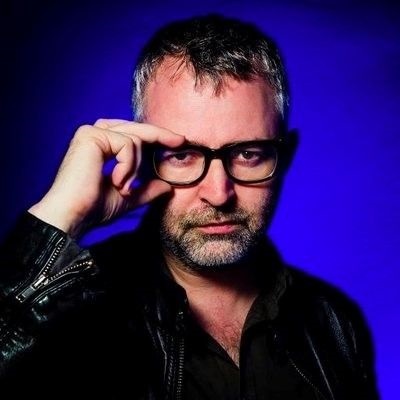 As a writer, editor, interviewer, moderator and columnist in the tech media world, Mike Butcher covers everything - from the smallest tech startups to the largest tech giants. He has been named one of the most influential people in European technology by various newspaper and magazines. In his long-standing career, Butcher has achieved many milestones. He has written for The Financial Times, The Guardian, The Times, The Daily Telegraph and The New Statesman. He was also awarded an MBE in the Queen’s Birthday Honours list 2016 for services to the UK technology industry and journalism. And that's just the tip of the iceberg. More of his accomplishments include being a co-founder of TechHub.com, a project to merge a thriving community with office space for fast-moving startups; co-founder of the UK’s Coadec.com lobbyist for startups; the non-profit TechVets for UK military veterans; and the UK event series, ThePathfounder.com. Butcher is currently the editor-at-large at TechCrunch, the American online publisher of technology industry news, founded in 2005 by Archimedes Ventures, with partners Michael Arrington and Keith Teare. The online publisher reports on the business of tech, tech news, analysis of emerging trends in tech, and profiling new tech businesses and products. I recently had the opportunity to chat with Butcher about bitcoin and crypto trends, the current African startup scene and the importance of a startup policy. You’ve been writing a lot about blockchain and crypto of late. What are some of the trends you can forecast for 2019 in this sphere? We are entering a 'Crypto Winter' where the currency prices themselves are dropping. It's hard to say exactly why this is, but it does mean that a lot of the froth that has built up will go away and only the most serious people will stay in the market. That's likely to be a good thing for innovation, as, after the dotcom boom-bust in 2000, some of the best companies emerged. Trends-wise, the actual users of blockchain are continuing, such as being able to verify the provenance of a physical or virtual object or legal documentation and contracts. And in terms of fintech, some cryptocurrencies are starting to be used in the emerging markets' setting, as they void traditional banking fees. TechCrunch will soon be returning to Africa to hold its Startup Battlefield competition dedicated to the African continent. What is your take of startups on the African continent? Africa is a huge market! Many European and US markets are getting filled and extremely more competitive. Africa represents the next frontier! Halfway through the year, with 118 deals completed, startup funding in Africa reached $168.6m - surpassing last year’s total of $167.7m. That means the market is clearly booming. I think fintech is still the most attractive sector as investors continue to bet on the promise of startups focused on making payments and banking easier in Africa. Outside of that, we are extremely excited to bring TechCrunch, which is synonymous with Silicon Valley, to the continent. What sort of startup trends do you see happening on the African continent? Are there any specific challenges and opportunities faced by African startups? The main challenge in Africa is not talent, as the continent has plenty of that, but access to the kind of capital that can scale a business quickly. Seed funding has been difficult to come by. But clearly that is changing fast, and that's part of the reason we are bringing the amazing TechCrunch media brand to the continent. What sort of startups capture your attention the most? And why? Startups have to be out of the ordinary, disrupting a market dominated by incumbents, and ideally with some venture capital backing (otherwise they won't go fast enough). You’ve been instrumental in advising the UK government on tech startup policy. How did this come about and how important is it? I was part of an emerging new tech scene in London and knew the space intimately. I was asked to contribute to government thinking. The real problem with governments is that they try to do too much. The main things they should do is fund education properly, de-regulate the telecoms market to generate real competition and thus bring internet and mobile access prices down, and create incentives for investors. Other than that, they usually get things wrong if they try to get too involved in innovation. Do you think that it’s vital to have a startup policy in a country such as South Africa? What about other countries in Africa? It's vital to have a policy, but as I said, it's more important to get the basics right. Make the internet and mobile cheap, educate people, make it easy for businesses to start, but then close if they fail, and then pretty much stand back and watch things happen! There are two other things they can do: make it easy for entrepreneurs to set up businesses in a country (without having to make it their HQ!) and make it easy to migrate there. That way, you get a lot more entrepreneurs coming in. The market for startups is now global. You should make your country look attractive. With more and more startups pitching for seed funding on a global scale, do you think this had discouraged startups or rather made them more hungry to be noticed by international investors? More competition does not discourage people, it simply sorts out the good from the bad. International investors will notice the companies - if they are good enough - eventually. Is the failure rate of startups still as high as it was in previous years? And what do you see changing? The failure rate has not changed. It's still about one survival in 100 deaths. I don't see that changing ever. That's the nature of the game. What advice do you have for young and upcoming tech entrepreneurs? The one piece of advice I can offer is this: Keep going! I never met a startup founder who literally didn’t just keep on going the whole time, not caring about the problems they encounter. Keep pushing through. Learn from your mistakes and pivot around problems. Some bonus advice is this: never give away large chunks of your company to early-stage investors! Take it slow! Lastly, What do you think will be the biggest tech disruptor in 2019? And what impact will this have on the tech industry? The biggest disruptor in tech will be AI, plus its gradually merging with autonomous machines like cars and industrial robots. That won't just impact the tech industry but ALL industries.